"This session, between debates about where kids can pee and whether helping women get an abortion should be a crime, lawmakers at the pink dome continued their tradition of gutting environmental and public health protections. They reduced funding to the state’s environmental agencies, altered public notice requirements about air quality permits for industrial facilities and confirmed Kelcy Warren, head of the pipeline company Energy Transfer Partners, to the Texas Parks and Wildlife Commission. When an already underfunded budget for the state environmental agency reached the governor’s desk, he slashed more than $90 million in funding for two air quality programs." ​"BlueStone Natural Resources II is dropping a plan to drill a saltwater injection well near Lake Arlington, a project that was widely criticized by residents and city officials as a threat to the area’s water supply." Great victory for the residents in Arlington! Fort Worth, Arlington and the Trinity River Authority already have filed protest letters with the commission, which regulates the oil and gas industry in Texas, about drilling the well so close to an “essential resource.” The commission has scheduled a hearing before an administrative law judge for May 24. But the battle over BlueStone’s project is taking on additional meaning because it raises questions about exactly how far cities can go in regulating the oil and gas industry following the passage of House Bill 40 in 2015. Part of the bill’s purpose was to restate and re-energize the state’s control over the energy industry. Fort Worth, Arlington and other municipalities have banned wastewater injection wells. Officials in those cities say this may be the first time their ability to take such an action has been challenged since the adoption of the law. More than two and a half years have passed since Cody and Ashley Murray’s water well exploded, transforming their Palo Pinto County ranch into an emergency scene.With their burns healed and gone to scars, the couple and their two young children have since returned to their 160 acres outside of Perrin, about 60 miles northwest of Fort Worth. The Arlington City Council will consider hiring outside attorneys and an industry expert to oppose a proposed saltwater disposal well on the Fort Worth side of Lake Arlington.The City of Arlington and the City of Fort Worth have both filed letters with the Texas Railroad Commission protesting BlueStone Natural Resources’ application to create the proposed well. The Arlington City Council is schedule to vote to retain an outside law firm and a technical expert during its Tuesday, March 7 evening meeting. An Oklahoma company wants to drill a disposal well for oil and gas waste next to Lake Arlington in Tarrant County. The CBS11 I-Team found BlueStone Natural Resources II filed an application for the well in December. However, disposal wells are currently banned in Arlington and Fort Worth, and both cities have submitted a letter of protest to the state. The lake is a major source of water for Arlington residents and the city’s water director cited concern over protecting water quality and dam safety as reasons for the opposition. 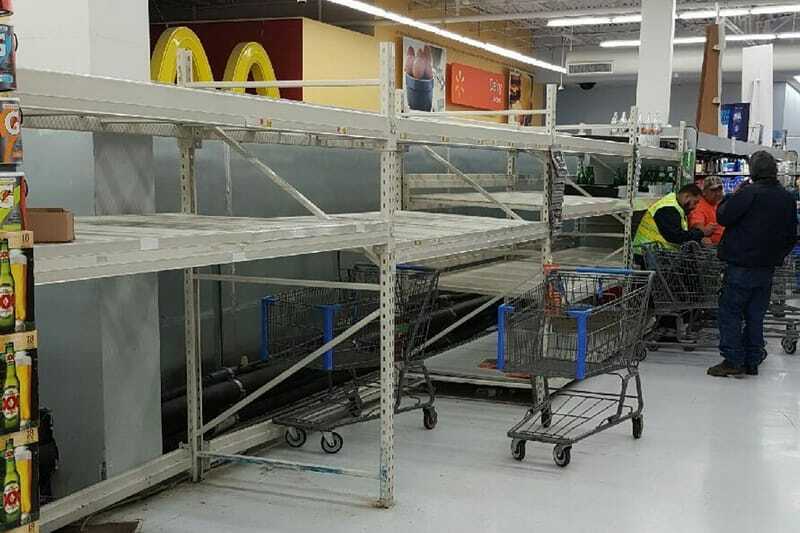 Residents in Corpus Christi were caught by surprise Wednesday evening as city officials announced a ban on using the city’s water after a chemical made its way into the supply. On Thursday, officials confirmed the contamination is from at least one chemical, Indulin AA86, an asphalt emulsifying agent. The city believes there's anywhere from 3 to 24 gallons of the chemical in the water supply, the Corpus Christi Caller-Times reported. Texas Promised 34 Years Ago to Track Oilfield Waste in Aquifers. It Didn't. 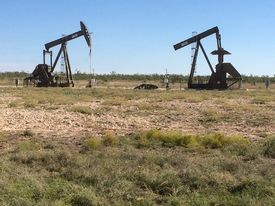 USGS Announces Largest Oil And Gas Deposit Ever Assessed In U.S.
Johnson County has “elevated risks” for earthquakes due to the disposal of fluids from deep injection wells, according to a statement released Tuesday by Texas Railroad Commissioner Ryan Sitton. In the new paper, Hornbach and colleagues at SMU and the University of Texas at Austin chart wastewater injection rates across North Texas and estimate how those injections have increased underground pressures over time. Studies going back to the 1960s have shown that elevated pressure from wastewater injections can pry apart faults, causing them to slip and set off earthquakes. The researchers compared both injection volume and pressure increases with the location and timing of earthquakes and found that they correlated closely. Companies began disposing of wastewater in North Texas in late 2005, and the volumes rose quickly over the next three years. ​Pollution from oil and gas industry activity will trigger hundreds of thousands of asthma and acute respiratory attacks in Texas each year unless methane emissions are reduced, according to a study released Wednesday by a national environmental group. Nearly 145,000 asthma attacks in children and more than 283,000 incidences of adults struggling to breathe would be attributable to oil and gas pollution, according to Gasping for Breath, a study co-sponsored by Earthworks and the Clean Air Task Force. by Jim Malewitz;Texas Tribune; Aug. 31, 2016; Cross post August 31,2016. Within a decade, Texas will lead the nation in sicknesses linked to ozone-forming pollutants from oil and gas activity, according to a new analysis from a pair of environmental groups released Wednesday. " Chesapeake Energy, once the proud face of the shale gas drilling boom in North Texas, is transferring its 215,000 acres of natural gas assets in the Barnett Shale to a Dallas company backed by a global private equity firm. Is the Eagle Ford oil boom making people sick? Kennedy — Lonjino Lara suffers from a long list of mysterious maladies. "I feel like they kind of just slammed the door and locked it, and I don't know how to break through that," Briggle told me. "I was worried about fracking to start with. But now I'm worried about democracy." This unauthorized air pollution not only threatens public health and our environment, but also our confidence in the regulatory agencies charged with enforcing anti-pollution laws,” the report said. In 2014, the Keystone Gas Plant in West Texas released 226 tons of sulfur dioxide during its regular operations. But it emitted 5,493 tons – 24 times more – during malfunctions that same year. One 2015 malfunction lasted for six months. The Waha Gas Plant in West Texas flared more than 400 pounds of hydrogen sulfide and more than 18 tons of sulfur dioxide when a compressor was “down for maintenance” last year. The facility’s permit didn’t allow for any emissions of those two pollutants. What Drilling (and Fracking) Is Doing to Texas Water Which you're not supposed to know about because...privacy? State officials ordered the photos removed from a website operated by the University of Texas at Austin. Well lets see if it has " finally happened." "DALLAS— Citing the need to further evaluate public feedback, the Bureau of Land Management has withdrawn all Texas acres from a federal fossil fuel auction slated for April 20 in Santa Fe, N.M. The auction, originally to include more than 36,000 acres in Texas, Kansas and Oklahoma, is now reduced to 2,306 acres. 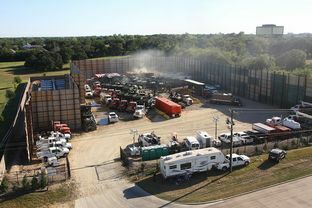 Responding to concerns raised by environmental groups and local governments about fracking impacts, the U.S. Forest Service in February withdrew 31,169 acres of national forest lands in Texas from the auction; the groups then submitted an administrative protest of the Bureau of Land Management’s decision to auction the remaining 5,700 acres." Read story here. Robert Wilonsky Follow @RobertWilonsky Email rwilonsky@dallasnews.com.Published: March 25, 2016 3:07 pm. Cross post April 3 ,2016. "It’s been two months since Dallas last heard the boom and felt the rattle of an earthquake, but that doesn’t mean the region is done with them. On Monday, the U.S. Geological Survey plans to release a report that concludes Dallas and Fort Worth’s risk of more quakes is higher now than it has ever been." "Corps officials said the tougher restrictions — which grew out of a study about whether drilling could damage the structural integrity of the dam — went into effect immediately. One corps official said the agency is willing to go to court to enforce them, if necessary." "Other commission employees who worked just below the highest ranks found even more lucrative work. Three former chiefs of staff since 2010 have gone on to represent energy companies, including Amy Maxwell, who registered as a lobbyist within five days of leaving the Railroad Commission in 2013 and was paid as much as $585,000 last year, according to Texas Ethics Commission filings." Can you say--Regulatory Capture? Read Story here. "The Army Corps of Engineers is expanding the zone where hydraulic fracturing is banned near Joe Pool Lake to protect the structural integrity of its dam.The drilling exclusion zone is growing from 3,000 feet to 4,000 feet from the dam, the corps said Tuesday. The original exclusion area did not meet the dam’s minimum tolerable risk guidelines and posed a risk to the structure, the lake and the public, a corps official said. The corps also said it will limit wastewater injection wells within 5 miles of the dam because of the effects of “induced seismicity,” or earthquakes triggered by human activities." So what makes it safe to build homes and schools 600ft or less from gaswell sites or from an wastewater injection well? Read story here. The Bureau of Land Management has deferred the auction of a gas lease for Lewisville Lake from its April 20 auction. "It is irresponsible for BLM to proceed with any of these fossil fuel auctions while serious questions about fracking and its effect on the drinking water supply to millions of Texans remain unresolved,” said Wendy Park of the Center for Biological Diversity. Park said it is senseless to allow “dangerous fracking techniques” beneath public drinking water supplies and put communities' health at risk. " Read story here. Thanks to generous Earthworks supporters, we were able to purchase a FLIR GasFinder 320 camera, the same kind used by industry and government agencies to detect leaks and chronic pollution. We're putting this technology in the hands of people impacted by oil and gas development so they can use it to protect themselves -- and do the job government should be doing, but isn't. - Go to page and find address. "Those were not your father's treehuggers that showed up in Arlington last night. Points to ponder: Our Texas Legislature, TRRC and TCEQ repeatedly tell us that it is all good and there is no need for increase inspections or accountability. After all--who really is checking these sites--or has a plan to deal with the aging of the gas and oil patches here in Texas. So happens this leak was found by a family on Christmas, as they took a walk about to look at the wildlife. "And we had came into one of the roads that had some of the oil rigs on it and noticed a little bit of rainbow color in the water," Ulch said. "We went around there and took a look at it and realized that it actually some oil coming out into the water." How long has it been since someone bothered to inspect? "It did get into the lake," Maddux said. "It's in the cove, in between two pads there on Lake Texoma. "Maddux says they aren't sure how much oil leaked. But it's now under control and the well is shut in to prevent further damage." Read story here. "Scientists presented new evidence this week suggesting that all five North Texas earthquake sequences, including those in Dallas, have been triggered by humans." I am a native Texan and have never known Dallas area to have earthquakes of this magnitude that are "naturally occurring." But Industry would have us think all is good. Read Story here. ​We all know that every gas and oil operator will deny that an issue with water or air contamination is linked to their operations. Everything is just fine? Wrong! "A WFAA investigation reveals the state's own records reflecting a significant concern about a water well explosion in Palo Pinto County last year. And now, a neighboring water well is so contaminated with fracking related chemicals that the state says it poses a potential explosive threat." Read story here. Texas citizens join the fight for protecting Chihuahuan desert from potential environmental catastrophe that pipeline might cause. However, Rich and powerful disagree. Mansfield Gas Well Awareness partnered with several other grassroots groups to send the EPA in Dallas, a SOS for help regulating the emissions in Texas. If you had a one time long shot--- who do you think Industry lay their money on for getting what they want? Mills said success is " easier at the state level." "Where we have our biggest influence is with our Texas congressional delegation," said Mills." But we already knew this---- Read story here. 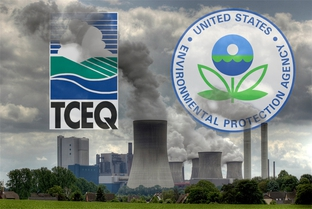 Who is TCEQ really protecting? "Every part per billion that they don't lower it is millions of dollars," Honeycutt said. "So we think that the return on investment in this is just phenomenal. Just phenomenal." Shame on TCEQ--the industry that is suppose to be protecting Texas citizens. Read story here. With other Texas citizens already experiencing water contamination living so close to gas wells, wonder if this will be just anothe "natural occurring methan leak into the aquifier? "Their water well had been contaminated with methane, and tests by the family's experts show the gas matches chemical properties of Barnett Shale gas" but "EOG Resources, the defendant and owner of the gas wells near the family home, has denied any allegations of wrongdoing" Read story here. "The rules would be the first of their kind in the nation, and are instrumental to the Obama administration's goal of cutting total US methane emissions by 40 to 45 percent by 2025 from 2012 levels. According to the EPA, the new standards would create a 20 to 30 percent reduction in methane emissions from the oil and gas industry". Read story here. Report says that Industry has and is polluting UT lands. 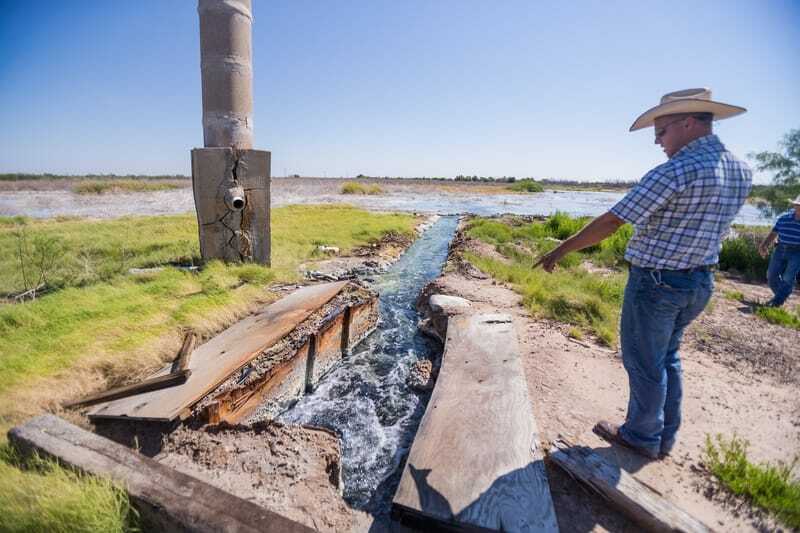 "At least 1.6 million gallons of oil, saltwater and other pollutants have spilled from wells and associated equipment on UT System-owned land since 2008, said the report, which drew from system and Texas Railroad Commission records." Read story here. Posted: Apr 04, 2013 9:45 PM Thursday, April 4, 2013 10:45 PM Updated: Apr 05, 2013 8:07 AM, Friday, April 5, 2013 9:07 AM EDT by Matthew Nuttle. Cross Post September 2, 2015. What our State Legislators dont want to own up to: "Texas is responsible for about 30 percent of the country’s methane emissions, much of it from leaky pipes and valves along the gas production and storage process as well as burning off of natural gas that can’t be processed or sold." What is the cost of limiting these emissions? 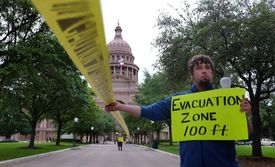 "Natural gas lost to leaks could power 750,000 Texas homes for a year, and the state economy could get a $100 million annual boost simply by plugging leaks, says the Environmental Defense Fund." Our air would be cleaner and easier to breathe! Read story here. South Texas Pipeline Explosion Injures 2"
"Authorities say the explosion of a natural gas pipeline near the small South Texas town of Falfurrias injured two people and prompted the evacuation of about 150 homes." Read story here. City eyes look to royalites--however, the city will not get the royalities. "Among the remaining commissioners, only District 6 Commissioner Veronica Vela-Whitacre voted against the project." “Even though drilling for natural gas and oil is a very safe and controlled process, I became a commissioner to serve my people,” she said via text message Monday night. “The constituents of McAllen made their opinions clear and I felt it was right to do what was in their best interest.” Some residents are upset and have commented that new faces will be seen in those seats that voted for the oil and gas. Read story here. HB40 is a terrible law that was bought and paid for by the Oil and Gas Industry. It was amazing to watch as the very legislators voted in to protect citizen interests, turn their backs on us to do the bidding of the weathly and powerful! "With each new well blowout in our back yards, with each new confession by state regulators that they can’t be bothered to protect us, with each new frackquake, with each new scientific study showing fracking pollutes our air and water and harms our health, Texans’ patience with an oil and gas industry run amok is coming to an end." Read article here. A Charge to Keep: What About the Next Generation? The Texas Commission on Environmental Quality — arguing that any health benefits won't be worth the cost — is paying a private company $1.65 million to challenge the science being used to set them." This is a regulatory capture agency at its finest. Why are we not surprised? They are here to serve those that are the most powerful. Of course TCEQ knows better---"EPA’s not always about the best science,” said Michael Honeycutt, the commission's top toxicologist, who is spearheading the efforts." Oh and guess who is footing the bill? 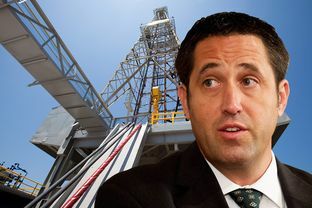 Honeycutt's agency hired " Massachusetts-based Gradient Corporation, typically conducts research funded by industry groups like the American Petroleum Institute." So what does quality of the environment have to do with anything? It took over three years --but here it is folks! In one of the most comprehensive studies done on water testing for contaminats related to Gas and Oil production, UTA "Scientists have found elevated levels of cancer-causing chemicals in the drinking water in North Texas’ Barnett Shale region — where a fracking boom has sprouted more than 20,000 oil and gas wells".﻿""According to"According to a study, published in Environmental Science & Technology, chemical leaks can occur when well casings fail. Some estimates show this happens in approximately 3 percent of new gas well operations, but the researchers point out that recent data indicate well casing failure rates closer to 12 percent within the first year of well operation." Read story here or go to journals, reports, studies page on this site to read the study. "The message that our health and safety means more to us in Denton than our state representatives have acknowledged and is worth fighting for should resonate loudly and clearly thanks to these courageous protesters." "Violet Palmer told NBC 5 she and her son waged the protest in response to House Bill 40, which essentially nullified Denton's voter-approved fracking ban at the state level." "I didn't think it could happen here," she said. "To have their vote just taken away, just destroyed, ignored, destroyed, and it was very upsetting." Read story here. Governor Greg Abbott, using the Texas Commission on Environmental Quality (TCEQ) , lost the battle with EPA over Wise county clean air act. Now Wise County is counted in the ozone nonattainment. Six months after voters ban hydraulic fracturing in their Texas town, Denton is to be fracked again. 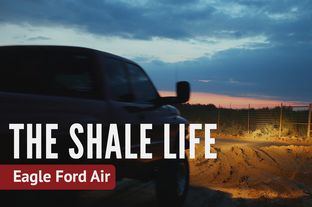 At least a dozen families were forced to evacuate their homes late Saturday evening when workers lost control of a gas well during hydraulic fracturing operations at the Lake Arlington Baptist Church drill site off Little Road in South Arlington. Vantage Energy who has a long history of substandard practices, operates this problematic site. AUSTIN ﻿HB 40 is designed to tighten the state’s control over oil and gas drilling. Discussion over vague verbiage and definitions" became a war of words Monday with industry leaders praising the legislation for helping to reign in rogue city ordinances while community leaders attacked it for going too far, claiming it would dismantle existing ordinances in at least 300 cities." ﻿Read Article here. Even before the Denton Ban on Fracking, Gas and Oil industry did not like the idea that they should be regulated. After all this is not what the consider a good Texas model. Then the ban happened. People told Industry --we are done here--you need to be protective. And the voice thast rang loud was nonpartisan to boot. Now in a show of defiance and collection of legislator debt, Industry has reared its ugly head to attempt to strip Texas history of local control and freedom for the whole world to see. "We always feared the industry would not be satisfied with legislation that just prohibits fracking bans like the one in Denton,” said Bennett Sandlin, executive director of the municipal league. “And now it’s clear they have gotten greedy and see an opportunity to pursue a scorched earth strategy to wipe out everything in their path. ""If this bill is passed, you could have a drilling rig operating right beside your back fence, your child’s day care center, your church or a hospital with all of the around-the-clock noise, hazardous materials, emissions and truck traffic that accompany drilling activity,” Is this a good Texas model? Read Story here. Well folks dont look now but ANOTHER Legislator has jumped on the bus with submitting a bill that will provide opportunity for a "qualified group of property owners with a state-issued drilling permit to seek payment if they believe that ordinances make it impossible to profit from the oil or gas underneath their land." The Texas Railroad Commission has just announced they will start naming DFW earthquakes. We continue to ask our Texas Legislation to look at the health impacts of urban drilling and give better protection. In this study released by Rachael Rawlins ,faculty member in the UT ﻿Community and Regional Planning Program in the School of Architecture, ﻿she reviews the current ineffective regulatory systems in place for Texans livng in close proximity to drilling. "According to Rawlins, state and federal regulatory programs do not effectively address cumulative emissions in urban areas, the risk of malfunctions in equipment, encroaching land uses, or the potential interactive effects of mixtures of chemicals." She also cites that "regulation of toxic pollutants from gas extraction operations is based largely on questions of cost and available technology." Seems like XTO's Walter Dueease posted a fake permit to enable XTO to conduct fracking operations at the DWG site in 2010 and in 2011. The original permit XTO had expired Dec of 2010. However, the fake permit was posted and operations were conducted as if it was just normal routine. Unfortunately, the permit inspection was missed as Mayor Tedder did not have or pay an inspector to visit the pad site--and as a matter of fact--no inspection for 4 years. It appears that the Mayor turned a blind eye to regulations and to the use of the almost empty now Pappy Elkins Lake as a fracking pond for XTO use. I wonder how much revenue the city made for that under the table deal? In light of the fracking ban in Denton and the rising complaints of citizens throughout urban Texas, Chairman Christi Craddick spoke to the Railroad commission about exploring the potential need to provide more inspections in Texas urban seetings. Read article here. November 5th, 2014; Admin Cross Post Nov 5, 2014﻿From Cathy McMullen: "To those in industry and government who are concerned by the success of this ban, rather than try to overturn it, address why we had to pass it." "Because the ban was our LAST RESORT. We tried for years to get government and industry to work with us. And they wouldn’t. This was the only way left open to us. And so we took it." "If you want to prevent more bans, especially in towns that know drilling best, do yourselves a favor and listen to concerned citizens. Because if you don’t, you may wind up reaping what you’ve sown." It has been a long battle, but the people of Denton have spoken! Despite the efforts of G&O industry to pour hundreds of thousands of dollars into a campaign to kill the ban initiative, voters told industry, yesterday, that they have had enough. Now it will be tested legally--you know it! But it will be interesting to see how industry will respond to its new mantra regarding "Responsible Drilling." Does anyone know what that is? For more info on the passed fracking ban, click here. Denton's fracking Ban- Just the beginning? Posted by Admin November 2, 2014. There is alot of speculation about the results of the proposed ban on fracking that Denton citizens will vote on in a final tally of that concensus on November 4th. Whether or not the ban is passed, what is clear is that the gas and oil industry has poured alot of money and public relations information out to the people in an attempt to get the ban killed. The bigger picture here is that the Industry has moved from "we are good neighbors" to " we want to provide responsible drilling." In order to claim this new mantra, Industry has to come to terms with "what is responsible drilling." And what does that look like? After all they are now citing that there is a difference. Around North Texas parks and playgrounds, children are breathing dangerous doses of toxic fumes from gas industry sites. ﻿September 30, 2014; SHALETEST; Project Playground, Reports. “The oil and gas industry claims that they’re drilling responsibly,” said ShaleTest president Tim Ruggiero. He continued, “These tests show they’re not.” Some of these areas are in our own Mansfield Parks. Tax a lake with the brutal summer heat and abuse it by taking millions of water for fracking, and the consequences are devastating. 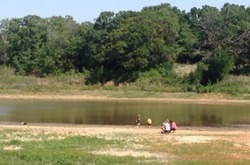 Many stand around hopeless as a massive fish kill begins at Pappy Elkins Lake. Read story here. Frack Free Denton Has Your Tuesdays Covered! was inspiring and motivating. Let's keep it up! UNT PhD Candidate Mahdi Ahmadi will give a 20-minute presentation "The Impact of Fracking on Ozone Pollution in the DFW Area." Mahdi's research has attracted the attention of state and regional agencies and forms a piece of the mounting evidence about the harms of fracking. **2. Tuesday September 2nd: Volunteer Training Night!! economy. He uses publically available data and the industry's own report to show how a fracking ban will be an economic winner for Denton. By Adam Briggle; Published on Jul 23, 2014. Very touching story and video about the resilience of the human spirit! Now the Battle Begins! City of Arlington will consider either a 3.5 million or 5.5 million bond issue to update their fire training center. The proposal was made in order to be more proactive and handle "realistic public- safety threats " within the City of Arlington. Especially as it pertains to the natural gas industry. With a whopping 305 gaswells located within the City of Arlington, Fire Chief Jim Self commented that " natural gas is one of those industries we are trying to evolve with." Education and updated technology will include state of the art training related to hazardous spills, gas well leaks, fires and other related emergencies during drilling or fracking. This certification will enable Arlington to offer specialized training(at a cost) to other fire departments. "It’s a fracking perfect storm: The only industry allowed in residential areas (not even bakeries have that leeway) is also the only industry allowed to emit non-disclosed, unmonitored chemicals. The result: The most toxic and secretive industry operates the closest to places where children live and play. July 12, 2014. Growing numbers are weighing in on the fracking ban petition that Denton council is set to vote on July 15,2014. Published : July 15th by DentonRC.com.